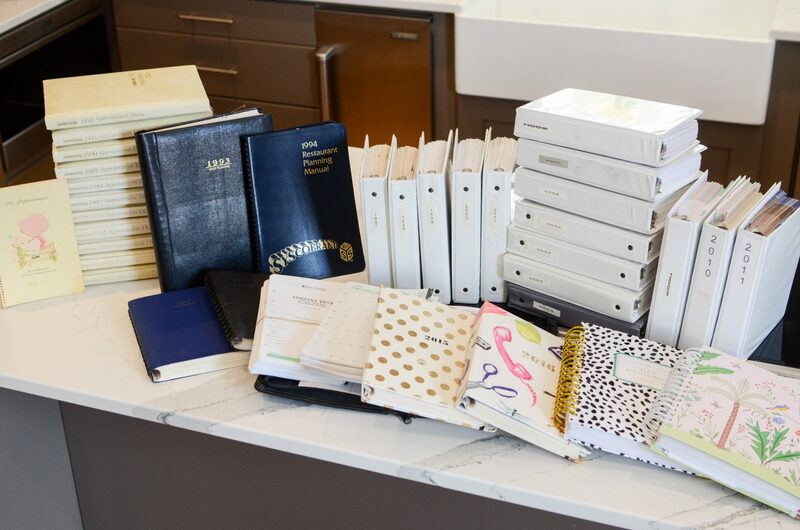 The first week of October is National Get Organized Week, and to celebrate, Vera is sharing about one of her favorite organizational tools–the planner! 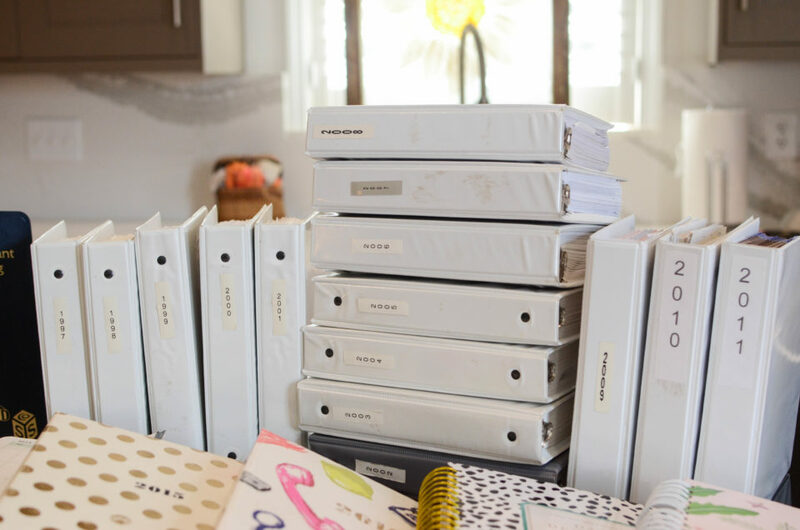 If you have ever worked for VeryVera, you have been introduced to a planner. 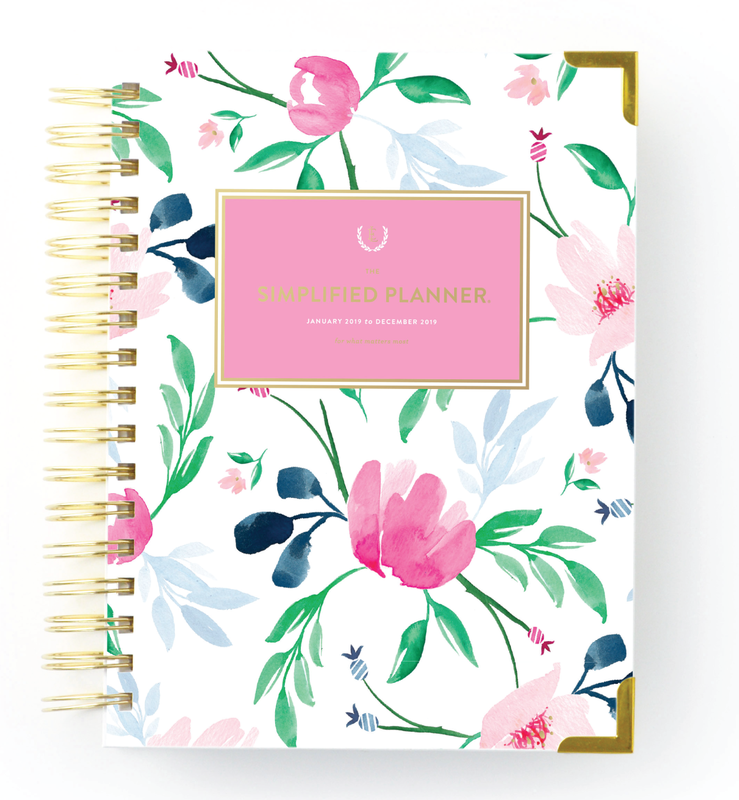 When I say “Planner,” you may be referring to my experience in events, but I actually mean the journal that keeps your days, weeks, and months organized throughout the year. It’s where you keep track of that to-do list that keeps getting longer, and it helps break it all down into manageable chunks with the ultimate goal of being accomplished daily. My career started as a Home Economics teacher in Mableton, Georgia, and as any good teacher will tell you and any great principal will insist, well-written lesson plans were the key to success. I always took that seriously and as an average student recognized early that this aspect of my work ethic proved me smarter than I was on more than one occasion. I quickly learned that if I appeared to know what I was doing, then I might have time to actually learn something. In the summer of 1981, John was approaching his second birthday. I was no longer in the classroom and found myself experimenting with doing dinner parties for friends and making items that folks could drop by my home kitchen and pick up. I loved the extra money and pretending that I was a business owner. 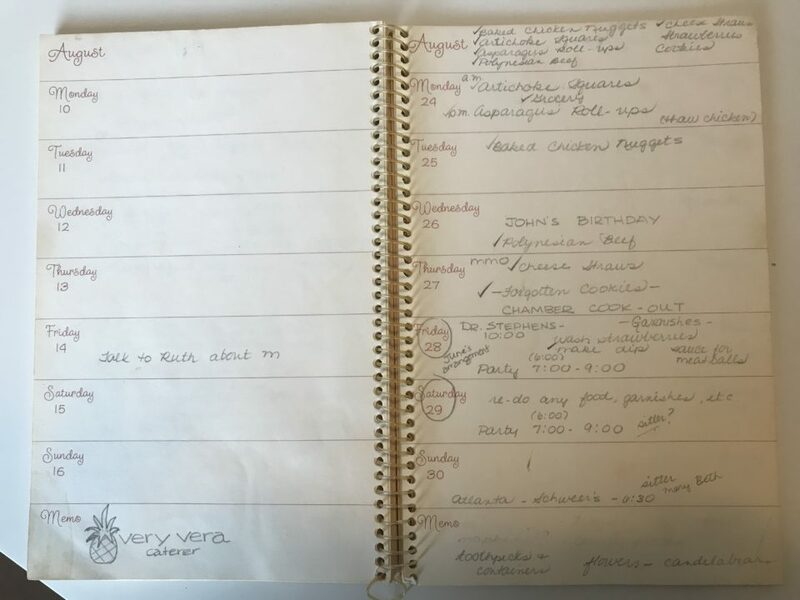 My first planner in 1981 still adhered to my fondness of all things Hallmark, and if you turn to the week of John’s birthday, you will see the rendering I created to establish myself as a full-blown caterer. By Christmas, I found out I was expecting again, so my course changed somewhat, but the idea and the small events were registered throughout that year and for the better part of 1982 until Daniel was born in May. 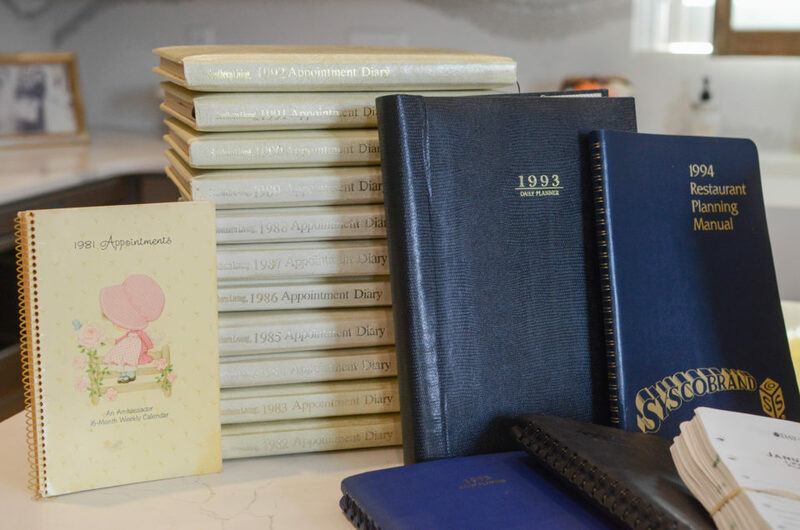 By 1991, I had graduated to a more professional planner and as an avid subscriber and reader of Southern Living Magazine; I loved their leather-bound planner with plenty of room to write in each space. It stood as a great combination of business and professional utility, and since I moved into a business location, I was seeking other professional methods for organization as well. I used this particular planner for 11 years. By 2001, I was heavily into Day Runner and used that planner for 14 years. I invested in a black leather binder, then removed the pages at the end of December and transferred them for safe keeping to a 3-ring binder. By this time, I had realized that at the end of each month, you should look back through the month as a whole, read over what you accomplished, and possibly find something you forgot to check off. I encourage my staff to do that now. 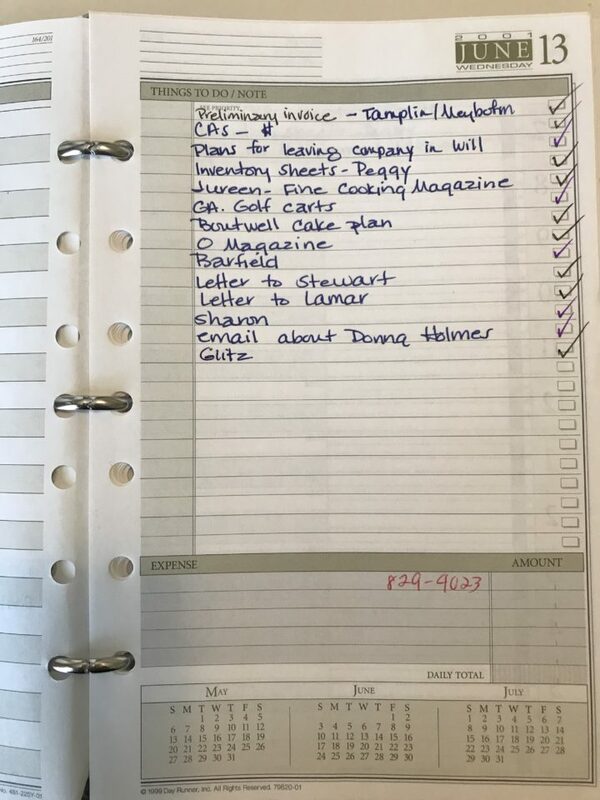 10 years later, I was still using DayRunner, but had adopted the yellow highlighter method to enforce what I did not accomplish each day and make sure I did it the following day. By now we were all very accustomed to computers and tools on our interoffice email that made organization more effective. None of that mattered to me because I still believed in the written list. In 2015, my then social media liaison, Nicole McLeod, gave me a Kate Spade planner as a gift. It was packaged so beautifully and had a format with which I was unfamiliar, but Nicole was one of the most organized people I knew. If it worked for her, was fun to look at, and beautiful when you pulled it out at a meeting, so why couldn’t planning be more fashionable? I dove in headfirst and really enjoyed this new look. 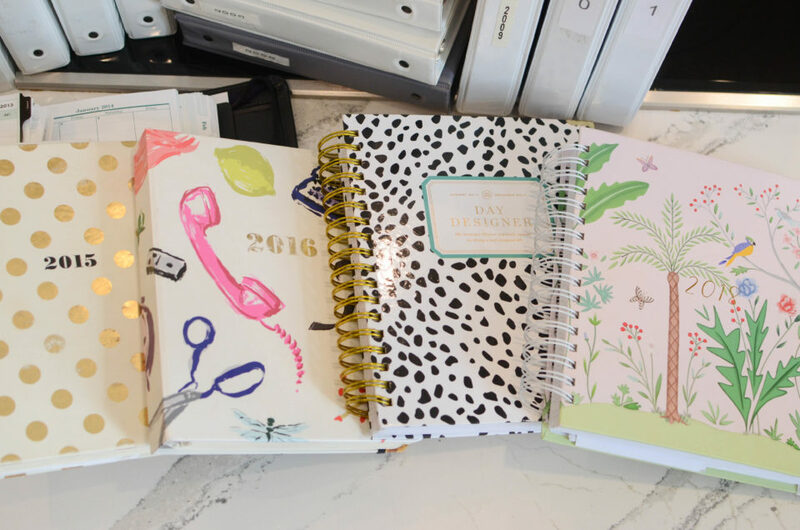 I am on my fourth year with stylish planners and have an even bigger reason to keep on this track and make a really fun selection for 2019. I have collaborated on a couple of projects with Emily Ley and have enjoyed following her business on social media. I’ve learned a lot about her tenacity, organization, and drive—sound like anybody you know? I can’t wait to use a planner in 2019 that was designed by someone with whom I have worked. I always order my planner on October 1st, so now it’s a matter of which one should I choose. I think the floral design speaks to me…on my way to order now. Being a professional planner is not part of my resume, but it speaks to my career over 34 years in the making. I have to have a list, and a list whose original intent was to have me finish it is in good hands.